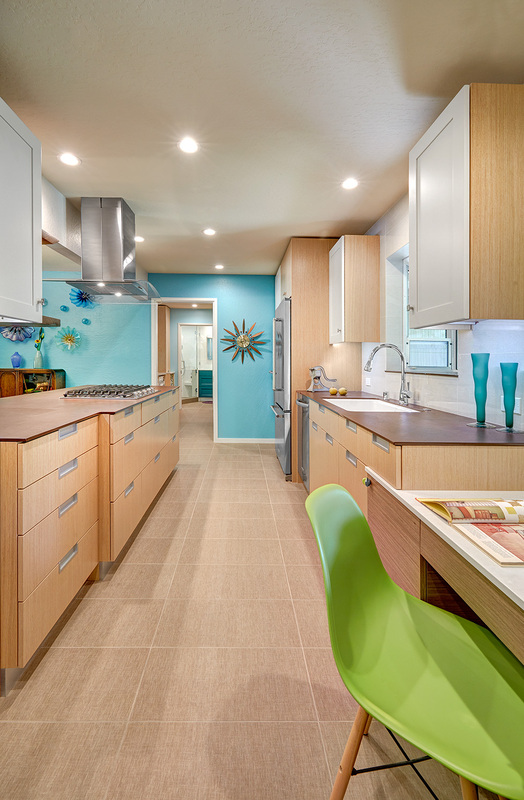 A total remodel brought this previously dark and outdated kitchen into the light by incorporating lots of bright color and contemporary details. The use of different materials and textures create an eclectic look, and keeping the emphasis on clean lines make sure the space doesn't look busy. Dekton counters assure easy to care for surfaces. Lime green knobs on the desk celebrate the homeowners sense of whimsy.